When you have guests over for dinner and the main meal is finished, there is nothing better than breaking out the cheeses, popping open another bottle of red and putting the world to rights with some (hopefully) decent conversation. If in the past you have made do with just the one type of cheese knife, you’re in the right place. It’s time to upgrade. There are in fact a number of different knives available. To help you with your research, our table below shows our top pick for each different knife style as well as the cheese it is designed for. So which cheese knife should be used with certain cheeses? This guide will help you answer that question. 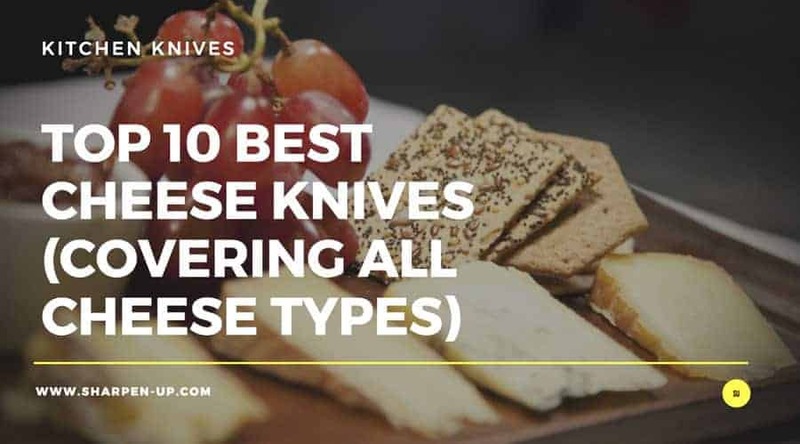 Here you will find 10 of the main styles of cheese knife, what type of cheese they should be used for, plus a review of our top rated pick for each. The best cheese knife for multi purpose application is the pronged knife. Shaped similar to a normal serving knife while incorporating a pronged tip, this cheese knife is great for cutting softer variations such as Brie, while also being sturdy and sharp enough to tackle harder cheeses too. The pronged tip is used to pick up the cut sections of cheese for serving, making this knife a perfect addition to any cheeseboard setup. In short, no respectful cheese arrangement should be without the pronged cheese knife. Boska Holland have been around forging knives for over 100 years. Amazingly the company is still family owned (going through various incarnations, from forge to fully-fledged hardware store and tool supplier, to the globally respected company in existence today). However, the priority during those humble beginnings back in Bodegraven (incidentally for a manufacturer of quality cheese knives, very close to the home of Gouda cheese), to create superior tools with character, remains the same in 2018. 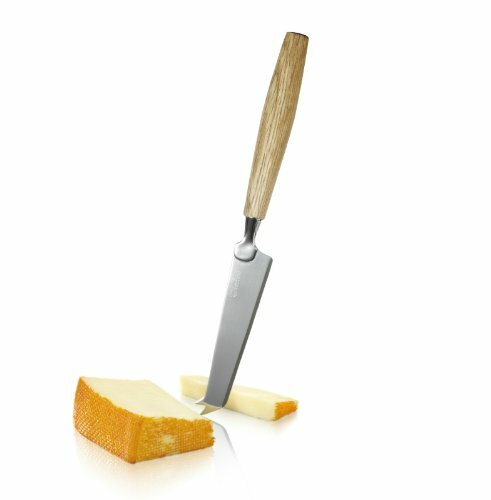 A Bosca Holland cheese cutting tool compliments the age-old social aspect of enjoying wine and cheese wonderfully. 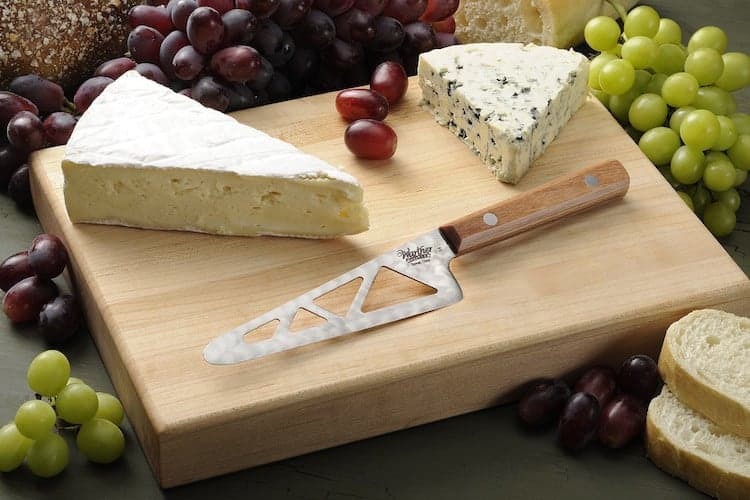 Our top pick pronged cheese knife is actually part of the company’s Life collection. Featuring a beautiful white oak wood handle, and a cutting blade made of high-grade stainless steel, the knife combines both high build quality and aesthetic prowess in the most pleasing manner. It will be a conversational piece all on its own. A must-have for any cheese lover that likes to enjoy the experience with friends. 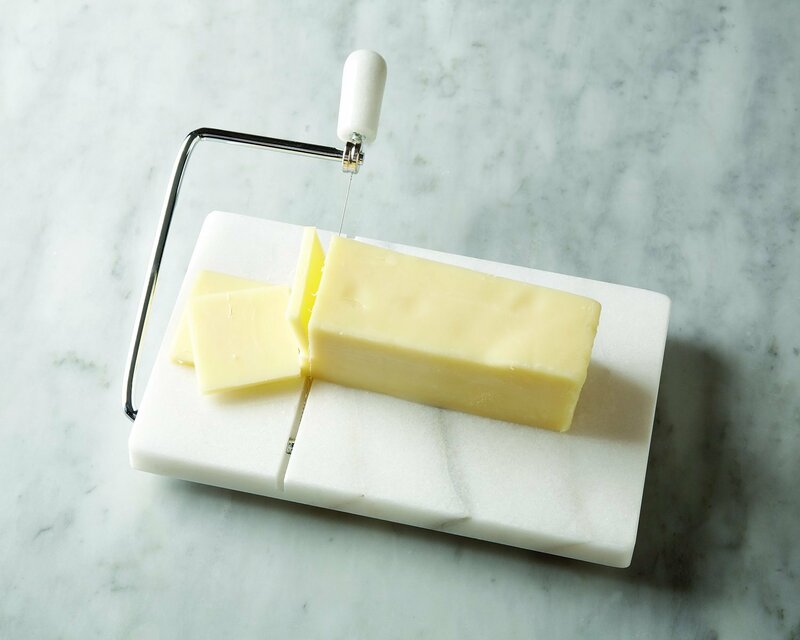 The soft cheese knife is designed to minimise friction as the cheese is cut. This is done via the various holes in the side of the blade. Essentially there is less surface area for the soft and rather pliant cheese to attach to. If soft, glutinous cheeses form part of your serving board, you should really have one of these to hand. 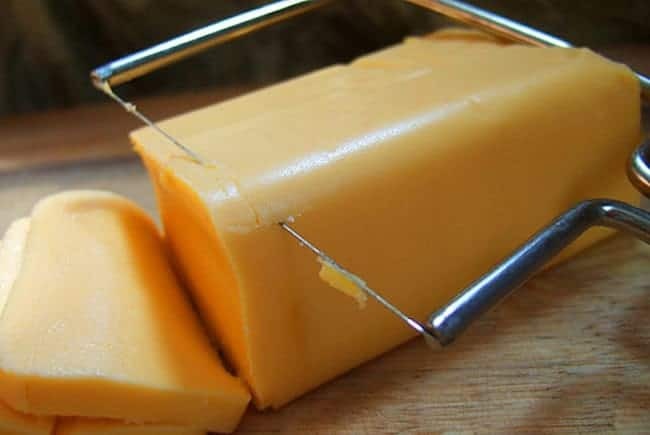 Who would have though cheese knives could be the source of such innovation and a patent or two. 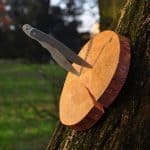 Cutco have really put the effort in here to provide a knife with anti-stick properties to surpass the competition. The smart Micro-D edge is actually a paired down version of their more well known Double-D recessed edged technology, (as seen in their larger kitchen cutlery range). 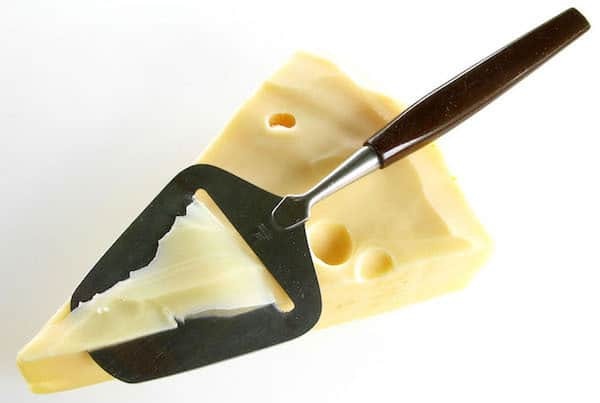 Carefully engineered blade perforations (position and size perfected after large amounts of testing) prevent the cheese from sticking to the 440A high-carbon stainless steel, while the rounded tip allows the knife to act as a spreader for the resulting slice of pliable cheese. Overall the Cutco is a real gem of a soft cheese knife that will not disappoint. Highly recommended, (if you can afford it). We mentioned the spreader action above. For soft, spreadable cheeses you will want an easy to manoeuvre, rounded knife that is able to work the cheese across your cracker, or section of bread. 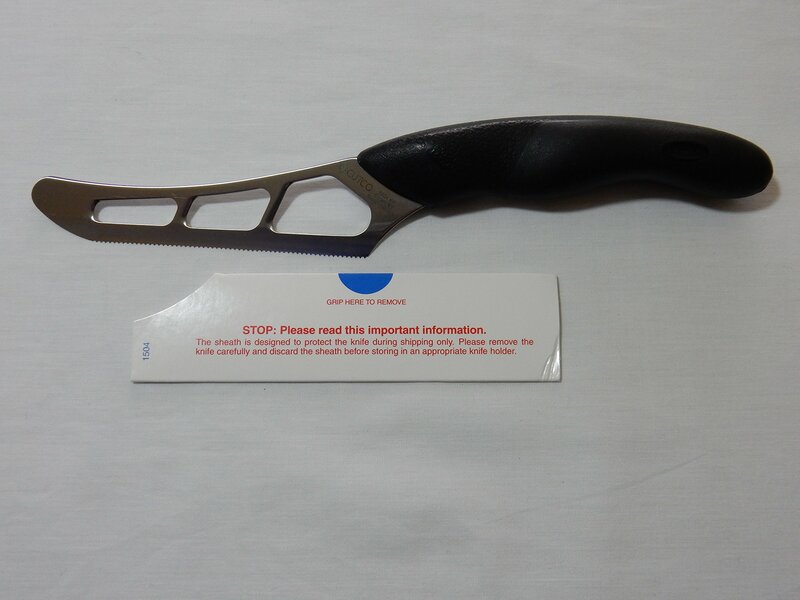 And while the Cutco soft cheese knife (see previous review) incorporates a rounded tip to aid with the spread, you are still best placed to opt for a singular tool to carry out this job – especially as each guest should actually have one for themselves (meaning the best cheese spreaders often come in packs of 4). 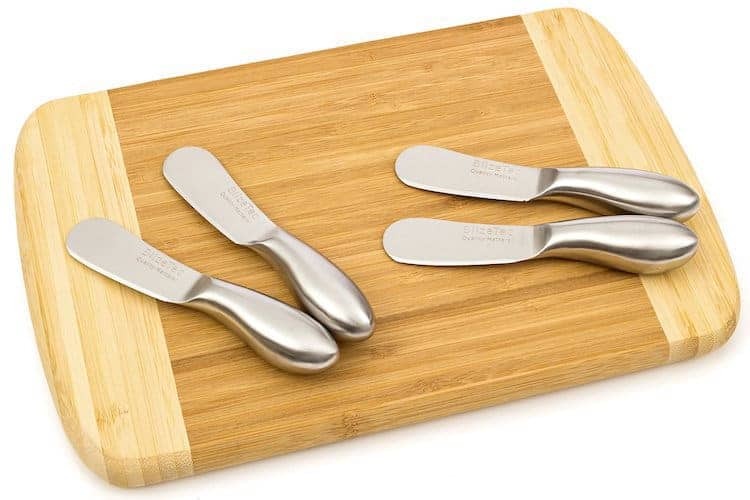 This 4 piece spreader knife kit from BlizeTec is everything you could ever need from a good spreader set; they look great on the table, are very nice to hold (they’re ergonomically designed for both left and right handed users) and are built to last. The durability factor comes from the fact the knives are made from high quality 420 stainless steel materials. The carefully shaped spreader blade can take care of all manner of soft cheese, ranging from brie, mascarpone, camembert and boursault. Furthermore, you’re not limited to only cheese with these; whether its butter, jam, or peanut butter jelly, if it spreads these knives will take care of it. Another staple part of any cheese knife collection, if you’re currently without a set of spreaders these are the best to buy. With some harder blocks of cheese, the cleaver is the only way to go. 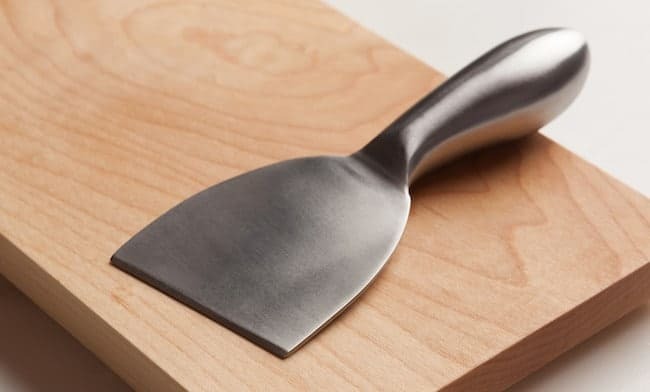 Use it to break down the cheese into smaller sections or even cleave off a healthy chunk for an individual plate, the cheese cleaver is another handy tool that should in reality accommodate any cheese board plate. Another Bosca Holland offering makes our best cheese knife selection. 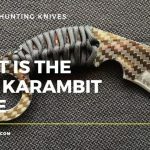 (Truth be told, the company has a product in each of our 10 cheese knife styles – for a formidable cheese knife collection, owning all of them would impress). It simple to understand why we have chosen another Bosca, their range of knives just look so damn lovely. 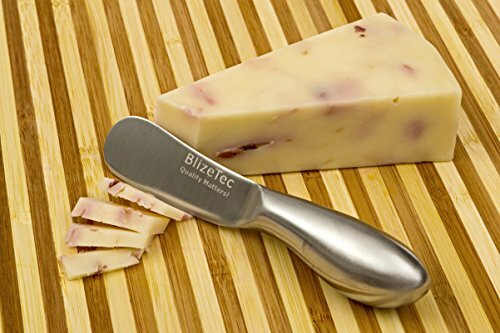 This sturdy hatchet is designed for the aforementioned hard cheeses (but can be used on softer cheese too), with handle design and strong stainless steel blade able to withstand the user pressure exerted while cutting a hard block of cheese. The tool Measures 3.15 x 0.79 x 11.06 inches and is dish washer safe. And did we mention that it looks really cool too? Another aesthetic pleaser from a top quality cheese knife brand. 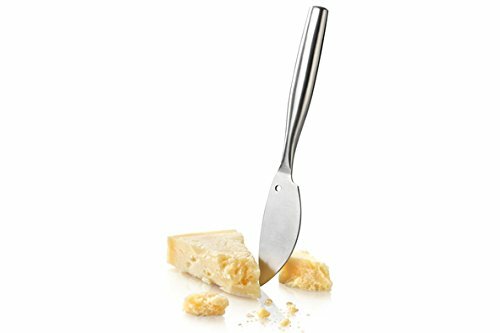 While a knife can obviously be used on soft cheeses, in some cases it is possible to actually crush the edges of the cut in the process. This is why the cheese wire is so useful. Incorporating the wire as part of your cheese serving utensils will provide neater slices, and if you opt for a oak or ceramic boarded tool it will look the part too. You may have noticed a theme running through our top rated selections in each cheese knife category – they all look very beautiful. We believe this is an important aspect of the overall enjoyment of a good cheese board; the paraphernalia has to be up to the occasion. And from an aesthetic perspective the Fox Run white marble cheese slicer certainly makes the grade. The quality has to be good too of course and here the Fox Run doesn’t miss a beat. 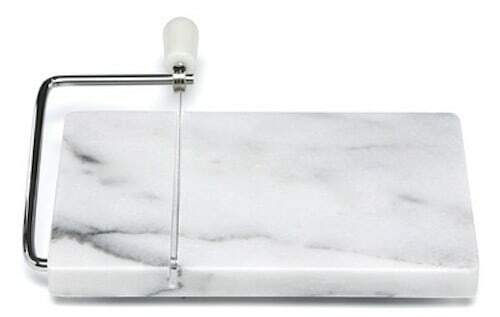 Not only does the use of quality white marble ensure the tool is built to last, it also serves to help maintain a cool temperature for cheese. 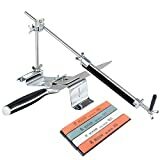 The stainless steel wire is very strong, (certainly capable of cutting through all soft cheese types) and 2 free replacements are actually included meaning you’ll be slicing with ease for many years to come. For extra sturdiness, non-slip rubber feet are attached to the marble base. Overall the Fox Run is a top quality cheese slicer that comes highly recommended. You’ll see the cheese plane in any self-respecting cheesemongers. The tool is perfect for shaving thin pieces of cheese for tasting. 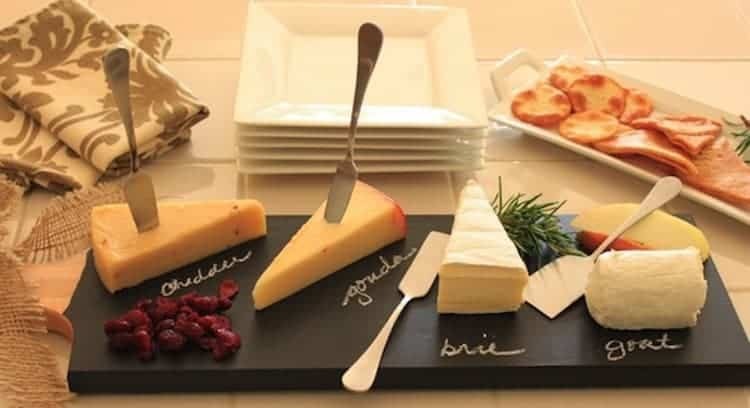 Normally used on semi-soft (fontina, havarti) and semi-hard (gouda, alpine-style) varieties, the cheese plane is still useful in the home for exactly the same reason it is popular in the store – if your guests want to try a small slither of cheese and have it served the right way, this is the tool to do it. Wusthof need no introduction when it comes to high quality cutlery manufacturing. Originally stemming from the famous Solingen region of Germany, these guys have been at the top of the game for over 200 years. 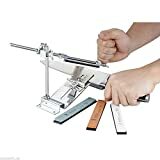 And what you get when you decide to buy a Wusthof offering, is a carefully engineered tool, built from superior materials in a manner to last. The Wusthof 4-3/4 inch Cheese Plane is no different of course. Featuring a tempered to 56⁰ Rockwell stainless steel blade, and a highly-durable polyoxymethylene (POM) handle, the plane is not only comfortable to hold but extremely sharp and effective too. One pass with this and you will have a shaving slither of cheese thin enough to dissolve on the tongue. If you want the best cheese plane that money can buy, you will not be far off with this. The cheese chisel is essentially a wide (and somewhat stumpy) cheese knife that is used to cut hard, crumbly cheeses into generous chunks for your guest’s plates. This makes the cheese chisel an essential part of any cheese board serving, and as such, is mostly available to buy as part of a cheese knife set. In a later article we will be reviewing a number of the best cheese knife sets on the market today. However, this premium 5 piece set gets our top rated pick here because it is affordable and contains the essential tools required alongside a well served cheese board. It also contains a quality cheese chisel. In keeping with our selection requirements the set is beautifully designed. Even the packaging looks great. The satin finish definitely looks the part on these knives. High quality food-grade stainless steel has been used on each of the 5 tools, to ensure long life and easy maintenance. If you are after a quick and easy way to ensure you have the majority of the tools you need for a entertaining evening of cheese, then this could be the set for you. Now we are getting highly specialised. 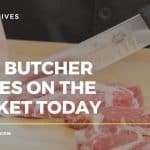 If you enjoy Gorgonzola and Bleu cheeses and they feature consistently in your cheese board offerings, you should consider purchasing one of these knives. 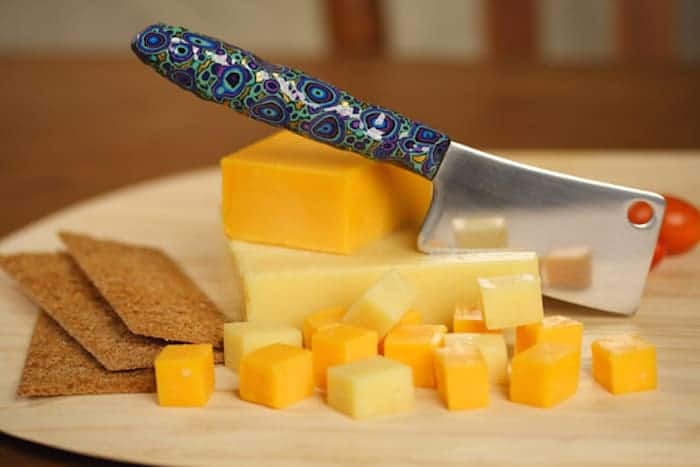 The Gorgonzola knife features a sharp blade to cut the sticky cheese into bite size wedges, while also designed to have a routed tip to easily spread the cheese on crusty breads and crackers. If you’re a cheese connoisseur you will probably want to up your game further with one of these knives. Related Reading: Check out the best types of Japanese kitchen knives. And what better way to up your game that with a tool straight from the Italian Cutlery experts, Bugatti; does it get more premium than that we ask you? 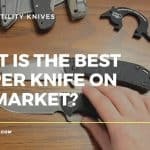 Purchasing a knife that states, “Designer: A. dolcetti and bugatti technical department” as part of the specifications is a discussion point alone, however when you get into the finer details, there is a lot going on with this tool. The lightweight, 65gram utensil is made from Stainless steel 18/10, while also being manufactured using acrylic. There is also an interesting addition in the form of a wonderfully crafted silver-plated ring motif. What all this does of course is create a gorgonzola knife that is both highly durable, and extremely satisfying to look at. For most of us, this is the closest we will ever be to owning a Bugatti, (even if the company has nothing to do with the famous car manufacturer). If you’re anything like me, you enjoy the strong taste of Parmesan. So much so, the grated options you get in most supermarkets doesn’t quite cut it; not when you can buy the stuff in lovely hard chunks. 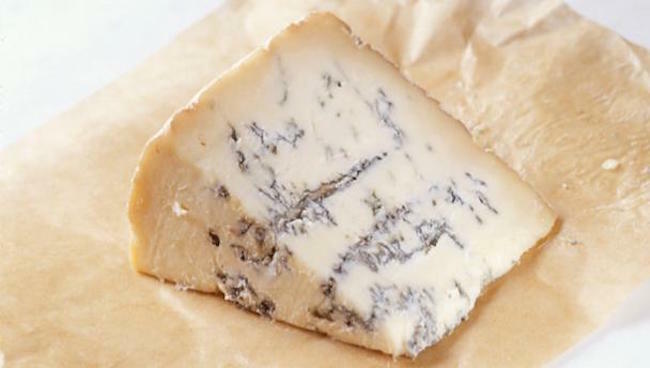 However, a hard cheese of this nature requires a special kind of knife – the parmesan knife. 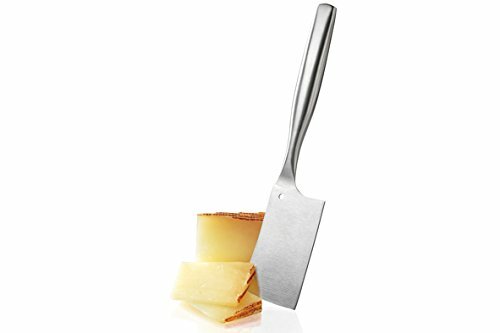 Featuring a pointed blade that is designed to break apart hard cheeses, this is an ideal tool for lovers of the strong stuff. Bosca Holland have gone and done it again. 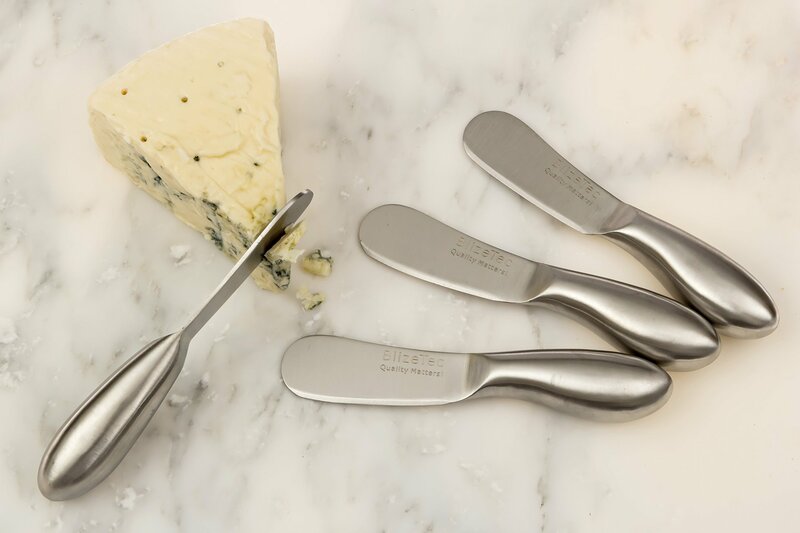 Their wonderful parmesan knife combines the company’s refined aesthetic with high quality manufacturing to produce a tool that is both beautiful and long lasting. The pointed razor sharp knife will cut through very hard cheese with ease, (so is not limited to just parmesan) and is designed in a way so that the cheese can be cut into any size you please. 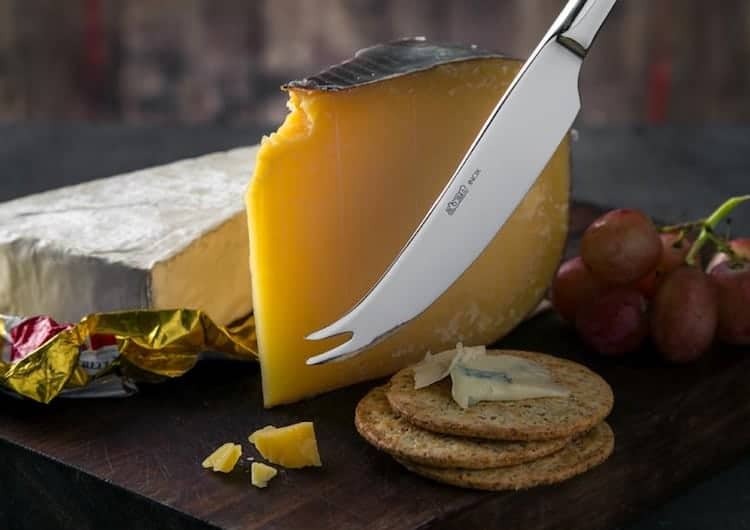 The blade is made from a sleek stainless steel of course (increased durability) and thought has gone into the design of the handle too (if you’re applying pressure to cut through that block of cheese, you want a tool that is comfortable to use). What more can we say, in our opinion Bosca Holland have produced one of the best parmesan cheese knives on the market today. While the cheese grater will not necessarily make it onto the dinner table as part of the cheese board setup, it will still play a part in the back stage preparations. For that you can opt for a large sized grater. However, for greater versatility, a smaller handled version is our recommendation. These can be brought into the serving arena, and are useful for extra cheese at the table or for hard grating cheeses such as parmesan and romano. 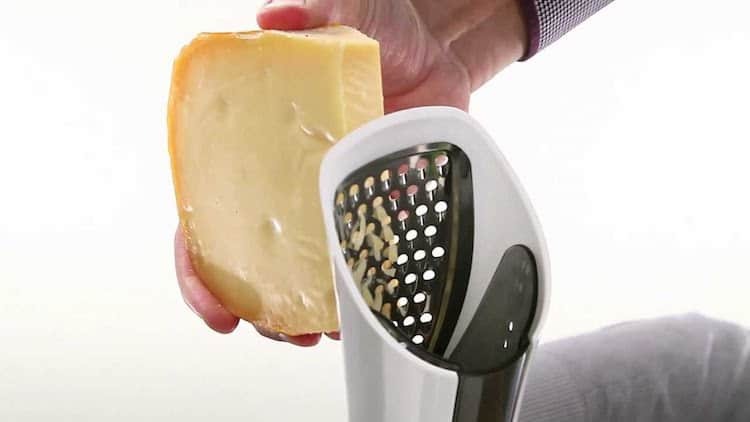 The cheese grater is perfect for grating cheddar and other cheeses, as well as wide range of fruits and vegetables. 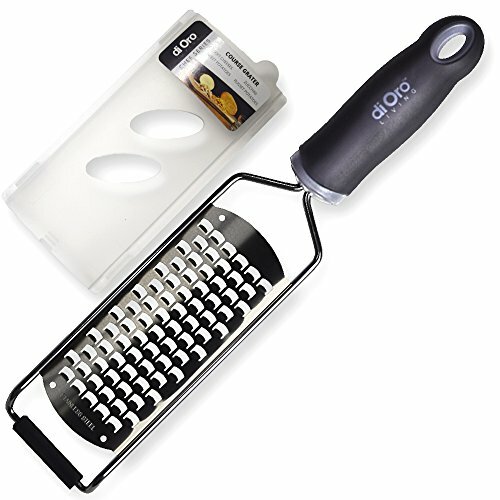 High-quality materials have been used to ensure your food preparation easy and safe, while the handle design (comfortable with a non-slip grip) means you’ll remain in control as you shred away at the cheese. If you are in need of probably the most common cheese utensil of all, this particular grater is well worth a look.